I’ve been working on a quilt for myself for a while now, squeezing in making a few squares whenever I get the chance between other projects. However, as I am doing these squares with the paper piercing method progress has been slow. So I decided over the bank holiday weekend to focus on getting some more squares done. Unfortunately I didn’t have as much time to these squares as I hoped so I haven’t got as many competed as I would have liked, but I have given it a good go and have managed to get another 4 completed – I know I was a bit disappointed with that number too, I was hoping to have finished a few more, but I have really enjoyed designing and making them which ultimately is all that matters! 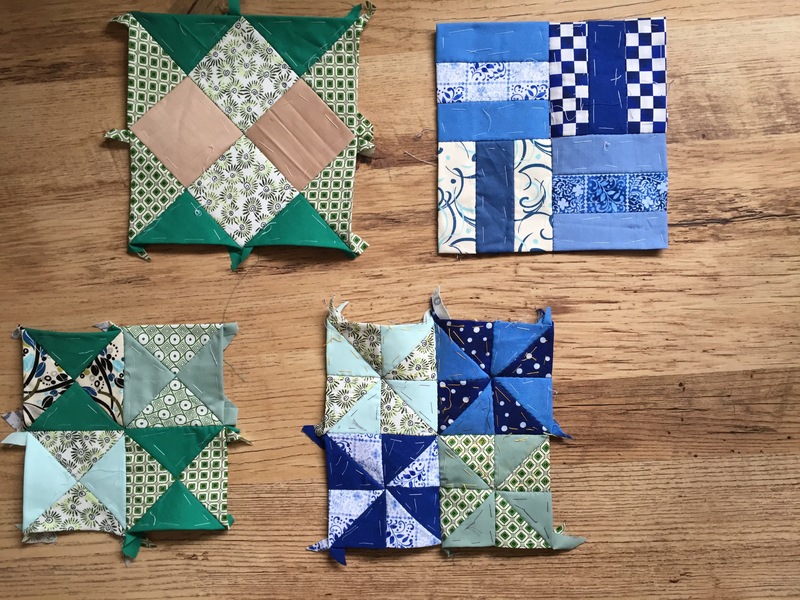 It does seem like a bit of a mountain climb at the moment with these squares as despite making so many I still need to do quite a few more to get it to the size I want. Despite the slow progress however I am really happy with how all the squares are coming along, and am still enjoying making them and coming up with ideas on the patterns to do. I would really like to get it finished soon though, so I had better get find my longer ropes and get cracking up to be top of this mountain! < Got to love a granny stitch, even better when it helps increase my adventures into making more crochet clothing! What great colors! I’m looking forward to seeing the finished project! Thank you, really happy with how it’s coming on – even though it’s taking quite a while!